Apr 7 The Case of the Missing Librarian: A New Escape Room! My students absolutely loved it, so I was asked to make another one as a reward a few months later. I ended up spending my spring break pouring over a new idea: The Case of the Missing Librarian. Unlike my first attempt, this one wasn’t holiday-themed, which means it would be great to use any time of the year. 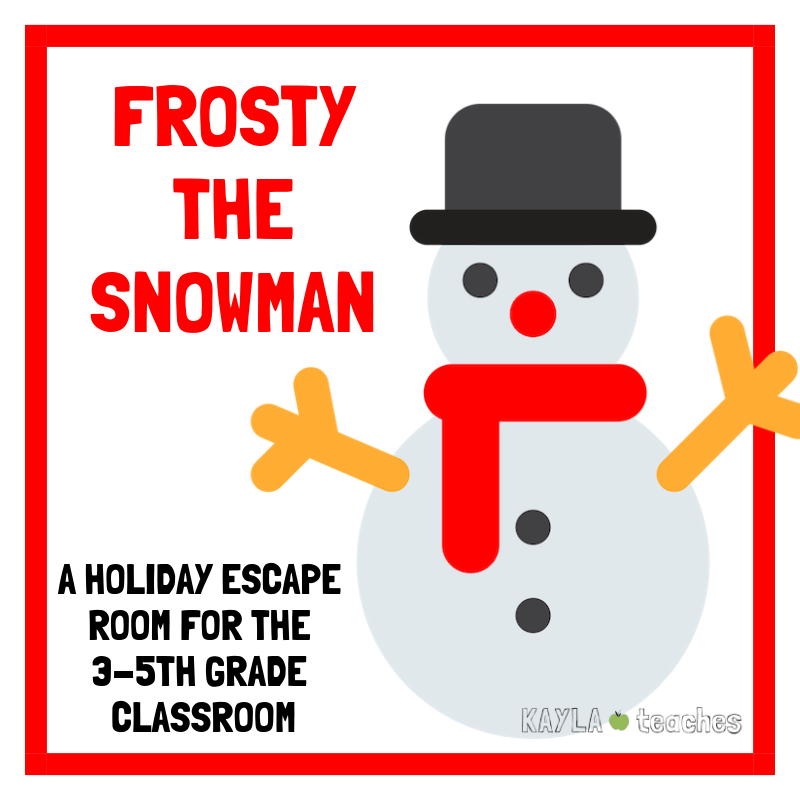 This new escape room incorporates fractions, specifically ordering benchmark fractions from smallest to largest. As a result, you’ll want to make sure at least most of your class knows how to do this before getting started. Otherwise the other pieces are mostly deciphering codes, reading for context, and using a map. I love this escape room because it allows all the groups to work independently from one another. Just print each group’s clues on a different color of paper and voila! they know exactly what to look for! Plus, they don’t even dare pointing out the other team’s clues! There is no winner based on time, but rather the quality and detail of their answer (if you want to declare a winner at all). My students had a great time and gave me a few new suggestions, which I’ve included in my final product. I absolutely love all the components to this escape room and how much fun my kids had completing it. Good luck finding the librarian! She’s awfully sneaky! **This post may contain affiliate and/or referral links. When you follow these links and make a purchase, I see a teensy tiny bit of money in return. This helps support what I do here at KAYLAteaches. For more information, please visit my terms page. Red 11 Media a video-centric full service marketing agency located in the great Des Moines area. We focus on marketing for small businesses and mid-size companies across the midwest. We produce commercial videos for the web and broadcast, product photography, staff photos, websites, and strategic marketing plans. Explore our site to learn more about the work that we do and the clients that we serve. The Case of the Missing Librarian: A New Escape Room! Feb 15 Teaching Elementary Students about Martin Luther King, Jr.